On March 15, 2019, PFSweb, Inc. (the “Company”) entered into a Nomination and Standstill Agreement (the “Agreement”) with Arnaud Ajdler, Engine Capital, L.P. and certain of its affiliates (collectively, the “Engine Group”). to the Agreement, the Board of Directors of the Company (the “Board”) voted to appoint Robert Frankfurt as a director to the Board and agreed to nominate Mr. Frankfurt for election as a director in its proxy statement for its 2019 annual meeting of stockholders (the “2019 Meeting”). 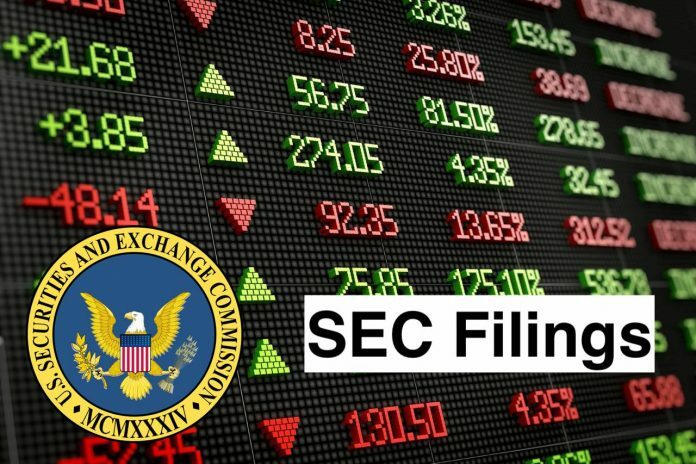 The Agreement includes certain restrictions applicable from March 15, 2019 until the date that is fifteen (15) business days prior to the nomination deadline for the submission of stockholder nominations of directors for the 2020 annual meeting of stockholders to the Company’s Amended and Restated Bylaws (the “Standstill Period”), including that at the 2019 Meeting and at any meeting of the Company’s stockholders held prior to the expiration of the Standstill Period, the Engine Group will vote all of its shares of Company common stock in favor of the election of directors nominated by the Board and otherwise in accordance with the Board’s recommendation, subject to certain exceptions for other extraordinary transactions and certain matters with a contrary recommendation from Institutional Shareholder Services Inc. and Glass Lewis & Co., LLC. sell, offer or agree to sell its shares of Common Stock to any third party that would own, control or have a beneficial ownership interest in the aggregate of 5% or more of the Company’s outstanding Common Stock, subject to certain exceptions. The summary above is qualified in its entirety by reference to the full text of the Agreement, a copy of which is filed as Exhibit 10.1 to this Current Report on Form 8-K and incorporated herein by reference. The information set forth in Item 1.01 of this Current Report on Form 8-K is hereby incorporated by reference. to the Agreement, and effective as of March 19, 2019, the Board increased the size of the Board and appointed Mr. Frankfurt as a director. The Board determined that Mr. Frankfurt is an “independent director” under the NASDAQ Stock Market, Inc. listing standards. A press release announcing the appointment of Mr. Frankfurt is attached hereto as Exhibit 99.1. Mr. Frankfurt, 53, is currently President and Founder of Myca Partners (“Myca”).Prior to founding Myca in 2006, Mr. Frankfurt spent more than a decade as a Partner and senior portfolio manager at various investment partnerships including Steel Partners and Sandell Asset Management.Mr. Frankfurt began his career as a financial analyst in the mergers and acquisitions department of Bear, Stearns & Co. and later joined Hambro Bank America as an associate focused on merger and acquisition and venture capital transactions.Mr. Frankfurt graduated from the Wharton School of Business in 1987 with a B.S. in Economics and he received his MBA at the Anderson Graduate School of Management at UCLA in 1995 where he was a Venture Capital Fellow and served as Alumni Class President. Mr. Frankfurt has no family relationship with any of the executive officers or directors of the Company. There have been no transactions in the past two years to which the Company or any of its subsidiaries was or is to be a party, in which Mr. Frankfurt had, or will have, a direct or indirect material interest. Mr. Frankfurt is eligible to participate in the Company’s compensation program and plans for non-employee directors, as described in the Company’s Form 10-K Amendment No. 1, filed on April 30, 2018. Nomination and Standstill Agreement, dated as of March 15, 2019, by and among PFSweb, Inc., Arnaud Ajdler, Engine Capital, L.P., Engine Jet Capital, L.P., Engine Capital Management, L.P., Engine Capital Management GP, LLC, and Engine Investments, LLC. PFSWEB, Inc. is a global provider of omni-channel commerce solutions, including a range of technology, infrastructure and professional services. The Company’s service offerings include Website design, creation and integration, digital agency and marketing, e-commerce technologies, order management, customer care, logistics and fulfillment, financial management and professional consulting. It operates through two segments: PFSweb, and Business and Retail Connect. PFSweb is a global provider of various infrastructure, technology and digital agency solutions and operates as a service fee business. In the Business and Retail Connect segment, subsidiaries of the Company purchase inventory from clients and resell the inventory to client customers. Its solutions support direct-to-consumer (DTC), business-to-business (B2B) and retail sales channels. It markets its solutions as PFSweb’s End2End eCommerce solution.